If you are planning your career in the field of architecture then it is very important to know the why you should study architecture. You must know the interesting things about this career field before you enter into it. Some of the prominent reasons for which you should start your studied in architecture are given in this write up for your consideration. When you become a qualified architect then it becomes your lifestyle. You start thinking about projects or buildings and their whereabouts, whether you are on job or not. You start imagining about the structure of the place where you are planning to visit in your next move. An inventor designs and develops gadgets and similarly an architect thinks about inventing new designs for their projects by using some new concepts to make them different even from his own projects. They feel satisfied when their plan on paper turns into a realistic structure due to the joy of creating. There is lots of fun in studying architecture as along with long reading and writing in the class rooms, like in traditional courses, you get opportunity and freedom to use the creative part of your imagination while creating new designs. While designing new structures you get the chance for displaying your originality and creativity. Architects are usually considered as intellectual people who are ethically responsible for using their brain to make right decisions for making their project successful. Unlike doctors and lawyers etc. architects are not considered as a professional that works for financial rewards only. There is good scope of earning high income even at the initial level as compared to other jobs, if you pass out your architecture course with good grade. Several established builders and realtors look to engage new talents in this field at high remunerations for their unique and fresh ideas which can make their projects more successful. Day-to-day technological advancement keeps the job of an architect constantly growing as he has to deal with new methods and materials of construction with the passage of time. Architecture is an ever growing field as architects create designs according to the latest method available for their execution. Though architects design projects according to the parameters given to them by the builder but still they are given freedom to express these parameters as per their personal skills and knowledge. It allows them to create something different from the other architects working on the same project. After studying architecture you need not work as a subordinate with some other architect or builder if you have enough knowledge and experience in this field. You can start your own firm and get projects by competing with others. You can also make a team of few like minded people for this purpose. Such opportunity may not be available in other vocations. If you like to work with your own hands then architecture is the right field for you as it provides you ample opportunities to fulfill your desire. Along with reading and writing this profession provides you opportunities to accomplish various projects with your own hands including surveys, modeling etc. Your work as an architect provides you solid results which make your challenging job more enjoyable. You always try to accomplish every project in a different manner by using latest technologies and materials to give your best to each project. This ever growing attitude of this job saves you from a monotonous lifestyle. There is vast scope of experimentation in the field of architecture. Even if it is ruled by the set principles of building structures even then as an architect you have freedom to use them successfully in making something different from others. Though you have to work according to the needs of your client but still you can use your experience and skills to accomplish the project that can reflect your personality. Your personal relationship with your clients can be a rewarding reason for studying architecture. Your efforts as a professional architect can provide them fruitful results which may last longer throughout their life. It is your knowledge and skills that are appreciated by them, if they are happy with what you have designed for them. 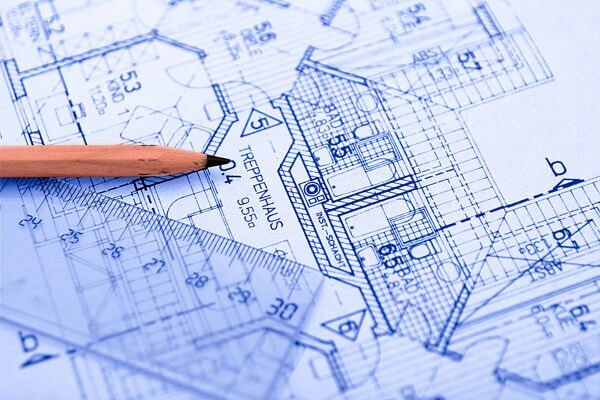 Even after completing your architecture course you have options to choose the type of your work field in architecture. Usually people can not choose the right type of career during their studies. After completing your course you can choose to design the projects or manage them as per your knowledge and experience. You can also choose to work in some specific field, after your graduation. If you are your own boss then you need not work in a fixed work schedule of 9 to 5 job. You can work on some real time project even while studying architecture as it will give you hands-on experience, whenever you are ready for it. You can visit the site of your project whenever you want to observe the progress of work. There is no fixed time limit in the profession of architect. You can continue your profession as long as you feel fit as it needs your physical potentials along with your intellectual creativity for your successful career. As you study various fields of human endeavor during your architecture course including history, art, physics, material science and engineering etc you can help in improving the life of others with creative skills of your mind. Thus for these reasons you should study architecture as it can be useful for you as well as the society you live in. You will be creating a new and different world on the basis of your creative mentality and knowledge attained by you during your studies for building new structures.